Around the world, governments are increasingly making the decision to publish the contracts they strike with companies to exploit natural resources. Since 2011, Guinea has been a leading proponent of the practice in Francophone Africa. 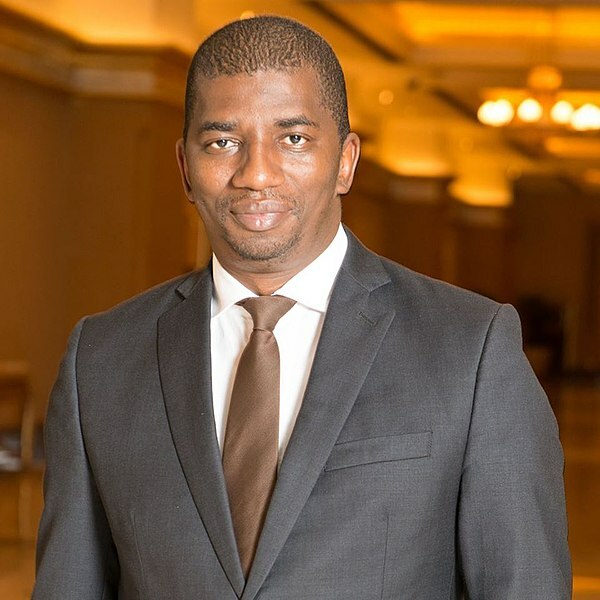 To find out more about the country’s experience in publishing contracts, I spoke with Abdoulaye Magassouba, Guinea’s minister of mines and geology. Hervé Lado: Can you explain briefly why Guinea started publishing extractive industry contracts? Hon. Abdoulaye Magassouba: Since President Alpha Condé’s election in 2010, he has put mining sector reforms at the heart of his priorities. Given our wealth of mineral resources and the low level of development of the country, especially of the mining sector, there was a need for reforms to attract more investments and thus leverage the sector to transform our economy. Among the reforms, transparency has been prioritized. [This is] not only to look good! It is to give confidence to all stakeholders, whether populations or investors, and reassure them negotiations are done on an equitable basis. Of course, this takes specific objective conditions of each project, and specific objective conditions on the international market into account during each negotiation. But it is showing that we, the government, are making our best efforts for all investors to be treated in the same way. Abdoulaye Magassouba, Guinea’s minister of mines and geology. Photo taken by Nfaly Sylla and sourced from Wikimedia Commons. Have you encountered any challenges and difficulties in implementing mining conventions disclosure? And how have you addressed them? One of the main challenges is to ensure that all those who were in charge of implementing the president’s political will are ready and committed to doing so on a daily basis. It starts from the decision level to the lowest technical level—embedding the notion of transparency and the publication of mining conventions in the daily habits of our staff. It has been a challenge that we have been able to meet over time. The second challenge was at the technical level. We had never done this, so we needed technical assistance. That's why we called on NRGI to support us and ensure that the publication process became permanent [and] not erratic. So, in addition to support for the implementation of the process, there was support in terms of staff training. Even today, we still consult NRGI on … the enhancement of the mechanism for publishing mining conventions. A third challenge has been—and this may seem surprising—the resistance of some investors. In many countries there are confidentiality provisions. So, paradoxically, it was up to the government to make the investors aware of these provisions. In any case, they had no choice because: the publication of the conventions had been enshrined in the new mining law of 2011, which was revised in 2013. But it was still necessary to raise awareness, even with investors, so that they understand that with this transparency, by publishing mining conventions, all parties gain over the long term. You know… I think they were just scared of the unknown, of something unusual. Many are listed on stock exchanges and are used to disclosing information, but it was never done in Guinea. And there were some fears: how will people read and interpret our conventions? Many uncertainties may have led them to express reservations, but it was not a substantive resistance because in reality, the transparency agenda is difficult for a listed investor to oppose. Today, how do you assess the impact of the practice of publishing mining conventions? As I said, our commitment for transparency did not simply have the objective of looking good. Beyond transparency itself, the goal is to make it a tool for developing the mining sector. The publication of mining conventions falls within this framework. So what has been the benefit so far? The first thing is that the publication of mining conventions has allowed us, among other things, to create more confidence vis-à-vis the community of investors, vis-à-vis the local communities, vis-à-vis the administration and all stakeholders interested in the sector. Over the years, this confidence has allowed us to be looked at differently and to attract more investors, to have more trust at the community level [and] in communities’ interactions with mining companies. Over the same period, all the actors have made more effort to get involved in sector development by having the conviction that the agreements are balanced, because that's what it shows fundamentally. In negotiations too, there is always, how to say it… a benchmark, that investors make. We often use the fact that the conventions are public, and we also note that most investors come to negotiations with the idea of a comparable project... and that establishes at least a sound basis, a certain confidence in the process of negotiation. People do not have the impression that we hide things from them, that what we say falls from the sky, they know that there are very clear references, and that there is a robust basis for the positions that we take. I would even say that it has contributed to improving the quality of agreements we sign with investors. In terms of Guinea's experience with contract transparency, what reflections can you share? Whether the publication of the mining conventions or the transparency agenda that has been promoted so far by President Alpha Condé and his successive governments, all have contributed to the new dynamism observed in the Guinean mining sector, despite the challenges we are still facing. Our credo is that we have to go beyond compliance issues. We don’t want to publish just to publish, no! We are focused in making the gains in our approach irreversible, and then using the transparency agenda to ensure the short-, medium- and long-term development of the sector for the benefit of all stakeholders. This interview was conducted in French and has been translated; it has been edited for length and clarity. Hervé Lado is country manager in Guinea for the Natural Resource Governance Institute (NRGI).